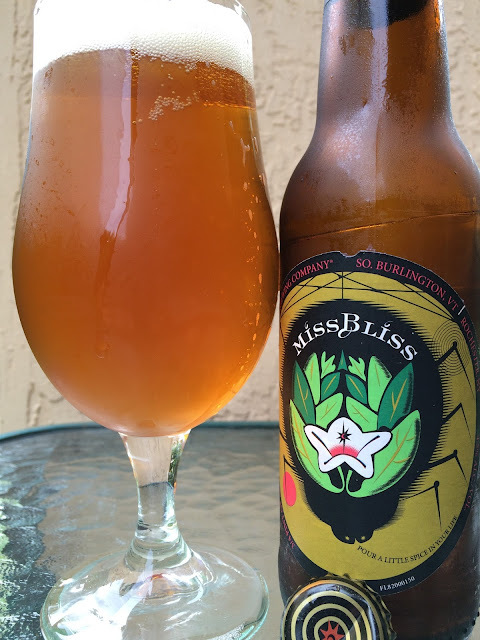 Today I'm checking out Magic Hat's Miss Bliss, a beer spiced with coriander and orange zest. This beer was first brewed in 1998, and despite great reviews, they haven't brewed it since. Just like Magic Hat Ale, this beer's re-release is part of their 21st Anniversary celebration. You can find both in their Night of the Living Dead mixed 12/24 packs. Not a very powerful aroma, but perfumey with a big whiff. Flavors are simple and subtle. Fruity orange and herbal caramel. Coriander spiciness is just a nuance. Perfumey and flowery all the way. The flavors work well together. Not bad. Check out the mixed pack!